We collect gently used or new infant clothing in sizes preemie to 12 months to distribute to needy babies in the San Diego area. Suggested items are sleepers, short and long sleeved bodysuits (onesies), pants, socks, hats, bibs, blankets and extra items such as overalls, jackets, and dresses. We also welcome board books in good condition. Incarnation Lutheran Church 16889 Espola Rd. If there are no bin locations in your area and you would like to donate, please Contact Us. A donation of any amount helps a baby in need! Donations are accepted via PayPal. Clicking the Donate button above will redirect you to PayPal's secure donation form. You will have the option to make your tax deductible donation a gift and send the recipient a thank you card. You can also use DAF Direct to make your donation. Participants in the Fidelity, Schwab, or Greater Kansas City Charitable Foundations Donor Advised Funds can also use DAF Direct to make a donation. There is no transaction fee to the donor or recipient. 100% of your donation goes directly to GentlyHugged. Please feel free to contact us if you have any questions or if you prefer to mail a check. Thank you! Gently Hugged has been awarded the GuideStar Silver participant award for its dedication to transparency in all aspects of its operations. Visit www.guidestar.org and search for Gently Hugged to get the most up-to-date information. We enjoy placing at least one handmade item in each package. Your carefully crafted blankets, bibs, toys, hats, and booties are special touches that are greatly appreciated. Please review important size and safety guidelines here (Word document). For recommended pattern suggestions, please contact us here. 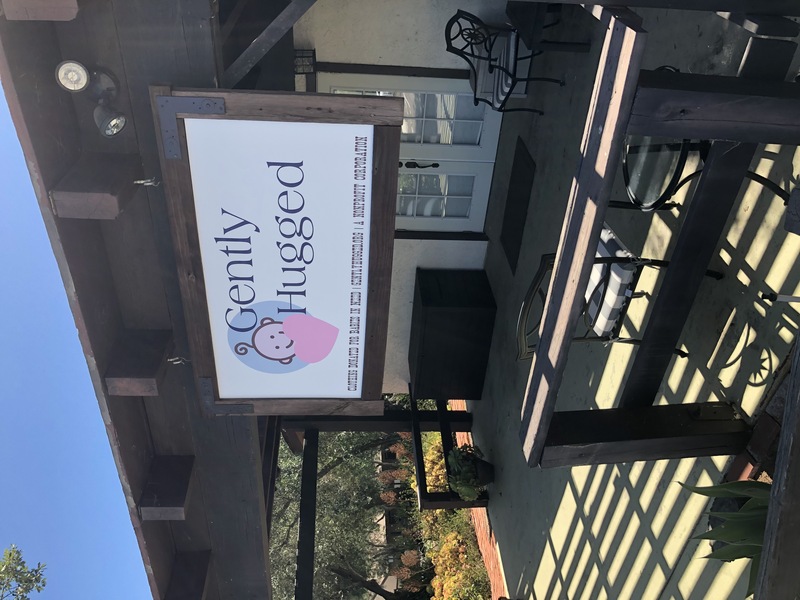 Drop off at the Gently Hugged office during office hours (preferred). You can find our location and office hours here. We also have collection bins outside the front door which may be used when we are not open. Place your items in one of our many donation bins around the county (see list here). If you would like to receive our monthly newsletter with our latest handmade needs, crafting tips, event reminders, and featured crafters, please subscribe here. We are participating in the Amazon Smile program. This means that you can support Gently Hugged just by shopping at Amazon for things that you normally buy. Simply click the button above to go to Amazon.com and start shopping. Where are donated items distributed? Donated items are distributed by nurses and social workers to low income, military, immigrant, and foster families in need within underserved areas. Hospitals, prenatal clinics, social service agencies, and homes are typical delivery sites. Click here to see a list of current distribution sites. Content copyright 2011-2019. gentlyhugged.org. All rights reserved.